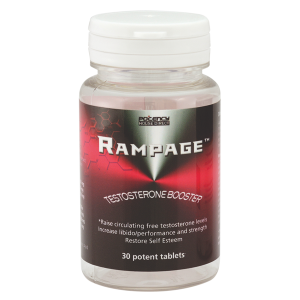 A daily supplement specifically formulated for men. It provides the essential vitamins and minerals men need to stay healthy and active. 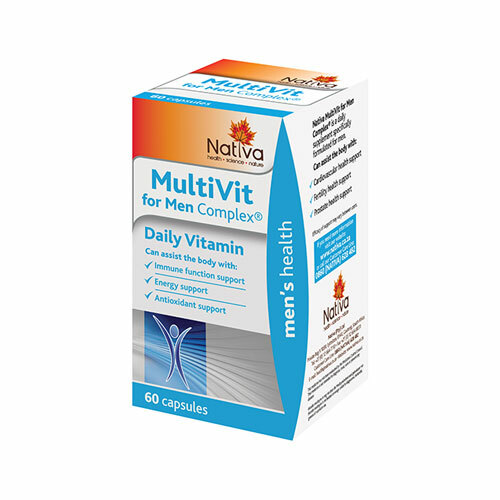 Nativa Multivitamin Men Complex is a general daily supplement specifically formulated for men. It provides the essential vitamins and minerals men need to stay healthy and active. Saw palmetto supports fertility health and keep your prostate healthy. Siberian ginseng, B-vitamins and chromium can boost energy levels by reducing feelings of fatigue. Grape seed and pine bark extract are powerful weapons against antioxidants and promote good cardiovascular health. Selenium and boron promotes a healthier prostate. Vitamin C, selenium and zinc can your immune system, while zinc can also assist with fertility health. Take two capsules daily after a meal, with a glass of water.